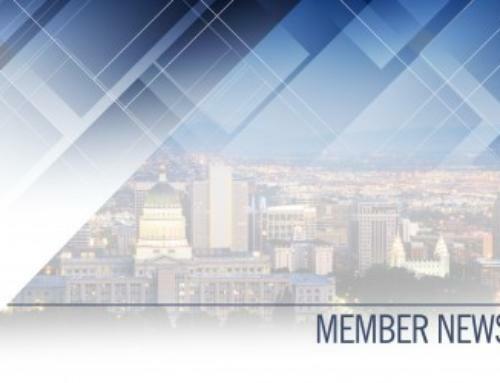 SALT LAKE CITY – April 15, 2019 –Employers Council, a leader in human resource and employment law services for the business community, today announced the findings of its recent HR Metrics Survey with 2018 employee turnover rates. Employers in Utah reported a higher average employee turnover rate in 2018 vs. 2017 at 25.6% vs. 21.8%. Arizona and Wyoming employers also reported higher employee turnover in 2018, while employers in Colorado reported slightly lower turnover. Survey findings were collected from 250 organizations in Utah, Arizona, Colorado, and Wyoming represented a cross-section of industries, including the government, manufacturing, natural resources, non-profit, technology, financial and real estate, insurance, health care, retail and wholesale, service, construction, and utilities. Employers Council’s survey data can assist employers in creating total compensation packages that attract and retain the right talent. The 2019 HR Metrics Survey also includes statistics on Length of Service, Retirement Separations, Tenure Rates, Job Absence Rates, Compensation Expense, and Cost of Benefits. The survey includes breakouts of the data by company size, geographic area, and industry type. For more information on Employers Council and the full survey data, visit www.employerscouncil.org. Employers Council serves more than 4,500 employers, of all sizes and industries, providing the resources needed to build and maintain profitable organizations. Members are assisted by over 70 human resource, organizational development and survey professionals and 60 staff attorneys out of offices in Salt Lake City, Scottsdale, Denver, Colorado Springs, Loveland and Grand Junction. Employers Council provides employment law and human resource services to members facing the everyday challenges of operating a business. Employers Council also provides training to more than 25,000-member employees annually and offers unsurpassed HR survey data. For more information, visit www.employerscouncil.org.